Mouthwash will boost the strength of your enamel and can protect your teeth against tooth decay. It is best to avoid eating/drinking/rinsing for one hour following the use of mouthwash. I usually recommend the use of mouthwash after breakfast and before bed-time. The myth of corsodyl resolved.. Most of us have seen the corsodyl commercial where promises are given that it will treat everything! Corsodyl mouthwash should only be used for a limited time when prescribed by a dentist. 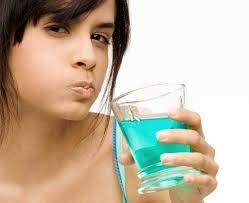 Long-term use of corsodyl mouthwash can cause staining of teeth and change in taste sensations. Which mouthwash is the best? – I love fluoriguard mouthwash. It has a high concentration of fluoride and it tastes nice leaving a nice fresh feeling after use. – Use what you feel comfortable with!